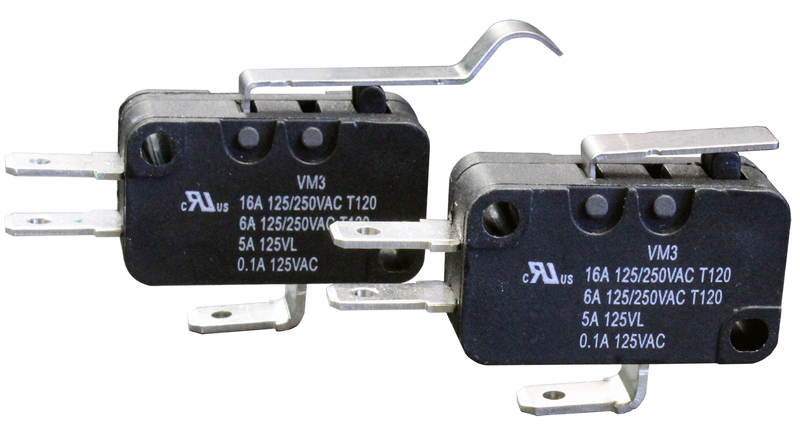 The VM3 Series miniature snap-action switch is a UL/cUL certified panel mount switch. 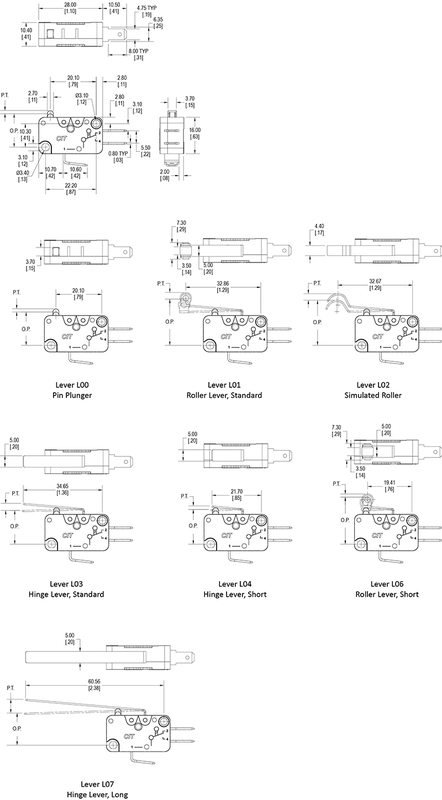 Actuator styles include pin plunger, standard roller lever, simulated roller lever, short hinge lever, short roller lever, long hinge lever and standard hinge lever. The VM3 Series silver plated copper alloy switch offers terminal options of .250? quick connect or .187? quick connect. Pole options include SPST normally open, SPST normally closed or SPDT.